As of this week, anybody walking into one of three Tri-Health hospitals can drop off outdated or unused meds in a medication disposal box and keep them out of the wrong hands. CINCINNATI -- You may notice it the next time you’re at a hospital. 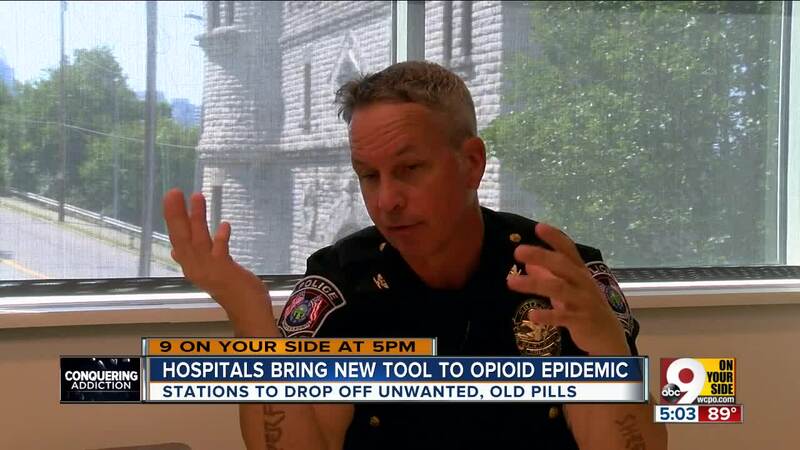 It’s the newest effort to combat the opioid epidemic. 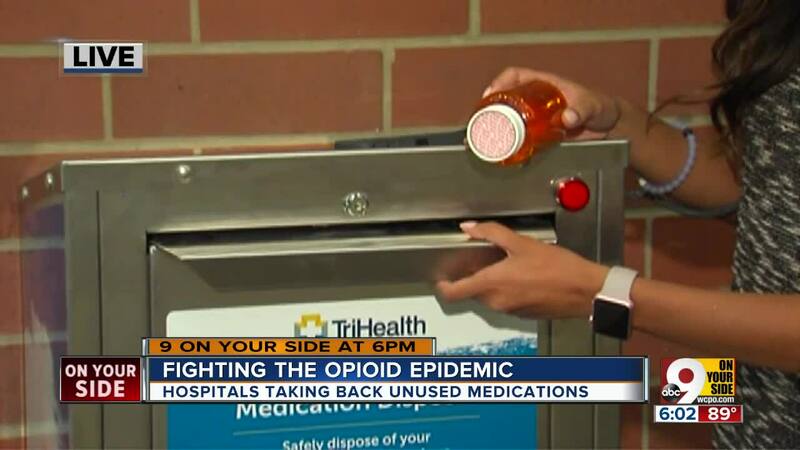 As of this week, anybody walking into one of three TriHealth hospitals can drop off outdated or unused meds in a medication disposal box and keep them out of the wrong hands. "This program helps get medication out of people's cabinets that are sitting around," said Katie Schneider, TriHealth Sustainability Consultant. "It is a big asset to prevent not just abuse but potential harmful ingestion by children or other individuals who weren’t prescribed these medications,” said Steve Shepherd, Pharmacy Senior Manager at Bethesda North. Bethesda North, Good Samaritan and Bethesda Butler are the TriHealth hospitals participating. TriHealth plans to expand the program to its other three area hospitals, a spokesperson said. Until now, hospitals couldn't legally dispose of your medication. Now you can bring in all prescription and non-prescription medications to these locations. Officials are trying everything they can think of to cut into the record numbers of overdose deaths in 2017. There were more than 500 in just the Tri-State, with 373 resulting from opioids. "Last year was a record year not only for this area and state but also for the country,” said Newtown Police Chief Tom Synan. “Over 72,000 Americans died from drug overdoses. Yes, it was a record year." Synan, who play a public role in opioid fighting as a member of the Hamilton County Heroin Coalition Steering Committee, said the numbers are down this year to the levels seen in 2015 and 2016. "That's not good,” Synan said. “We want to go under those numbers. But right now it looks like we're on trend for 2015-2016. We're stabilizing from a record year. What we’ve got to do is get out of the 2015-2016 numbers and connect those resources better because ultimately we want it to go here and then start going down." Overall, Synan said Tri-State overdoses have declined from about 70 per week to about 50 this year, fluctuating each day. A big reason, he said, is the availability of narcan. Overdoses take an emotional toll, not only on families and loved ones but on first responders, nurses, doctors, Synan said. That's one of reasons TriHealth has put a medication disposal box in some of its hospital lobbies. Schneider said it also good for the environment. "If you've got a surgery and have leftover medications, if you're not using them, we're trying to discourage people from flushing those medications,” she said. “That can negatively impact our water quality and we want to provide a safe way for people to dispose of them." SEE WCPO's "Conquering Addiction" coverage.